Dr. Marcela Gutierrez recently returned from India, where she completed a Bankers without Borders® volunteer assignment for a 10-branch microfinance organization. Dr. Gutierrez used her skills and expertise to help the organization evaluate how their program helps the poor. 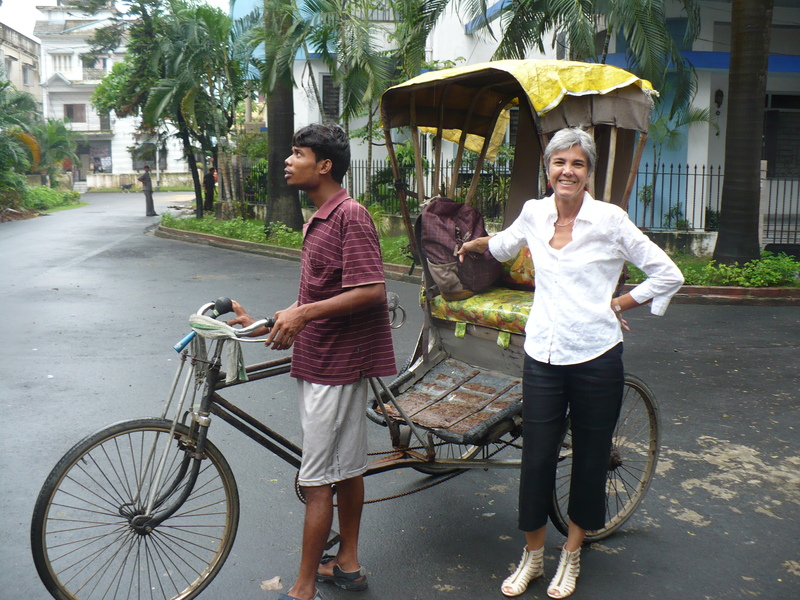 My interest in microfinance started when I first heard about Kiva on National Public Radio. Next, my daughter, a sociology student, took a class on microfinance, visited programs in the Dominican Republic and Belize, and taught me a lot about how microfinance institutions (MFIs) operate. I started researching opportunities to work as a consultant in program monitoring and evaluation, but I wasn’t getting much traction. But when I contacted Grameen Foundation, they told me about Bankers without Borders volunteer consulting opportunities and I signed up. I was later approached to help an MFI in West Bengal, India, develop a survey to understand the social impact of their loans to women borrowers. I agreed to take on the project … and then started to panic. I was skeptical that, in just five days, we could accomplish the goals we had set for ourselves. I had no idea what the evaluation capacity of an MFI based in India would be, and assumed it would not be very strong since their main focus was on making loans. In preparation for the assignment I searched for pre-existing tools we could adapt to the MFI’s needs, and the week before I left for India I found a good match. With the dedicated participation of the MFI’s executive director, in the first two days of my visit, we drafted a 24-question survey using the template I brought. Next, we took the draft survey to a branch office and tested it with five clients – which involved a five-hour round-trip train ride to the village in the midst of the monsoon season! Once back in the office, we worked on strategy for the next phase – a quasi-experimental study that would ultimately involve 450 clients and non-clients. When I left Kolkata, we had a clear plan for finalizing and translating the survey, training data collectors, drawing randomized samples, and dealing with data entry and analysis. All of this was accomplished in just five days, with a little time left over to wet my feet in the Ganges River! For microfinance, 2010 was a year of upheaval and taking stock. When it began, crises of various origins were still being felt in Morocco, Pakistan and Nicaragua. Twelve days into the year, a massive earthquake hit Haiti, negatively affecting many microfinance institutions (MFIs) there. Fortunately, Haitian MFIs, including Grameen Foundation’s long-time partner Fonkoze, have bounced back faster than anyone expected, as I have written in a separate blog. 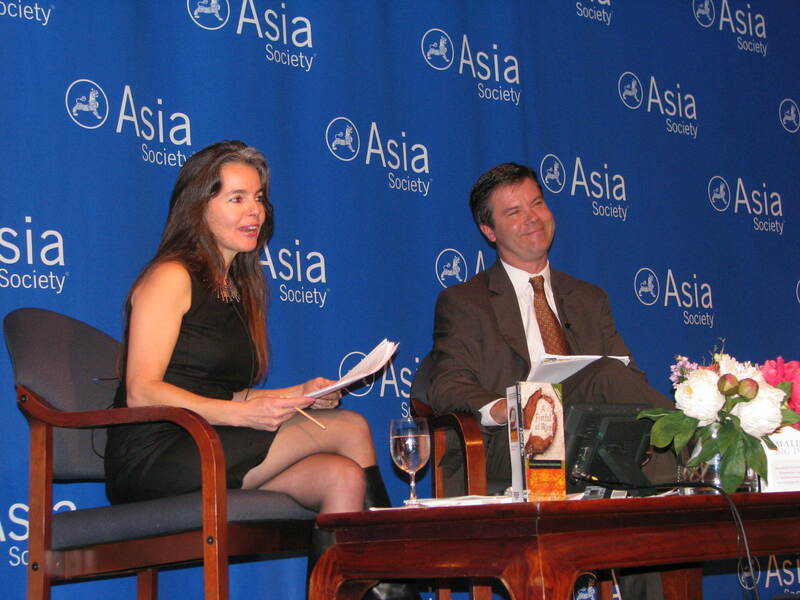 Debate moderator Niki Armacost, co-founder of Arc Finance, with Alex Counts, at his October 2010 debate with Vikram Akula, chair and founder of SKS, at the Asia Society. This was a far cry from the celebrations of microfinance in 2005, the U.N.’s “International Year of Microcredit,” and 2006, when Grameen Bank and its founder, Prof. Yunus, unexpectedly – and in my mind deservedly – shared the Nobel Peace Prize. The fact that microfinance in most countries (and even in most states in India, the world’s largest market for microfinance) remained largely unaffected, and in fact continued to grow and contribute to poverty reduction, was rarely noted in the media or even at industry conferences. There was a lot of soul-searching and hand-wringing, and perhaps a bit of panic. Any good bank strives to understand its clients’ preferences and needs. This is especially critical when you’re working with very poor people. In our three-year microsavings project at CARD Bank in the Philippines, Grameen Foundation Project Manager Julie Peachey has worked with the CARD savings team to implement a better, more accessible savings product for their clients. She discusses her experience in the September edition of Microlink’s Notes from the Field. We’ve included a short excerpt of her piece below, followed by a link to the whole article. CARD Bank client with her ATM card. It was just about a year and a half ago that I arrived in San Pablo City, Laguna in the Philippines and took up my role on CARD Bank’s newly formed savings team as lead Project Manager from Grameen Foundation. Grameen Foundation is partnering with CARD Bank [i] in a three-year project aimed at scaling up CARD’s offerings of safe, convenient, and affordable savings products to poor clients. The goal is to reach 350,000 new voluntary savers by October 2012. >> Continue reading this article at Microlinks’ website.